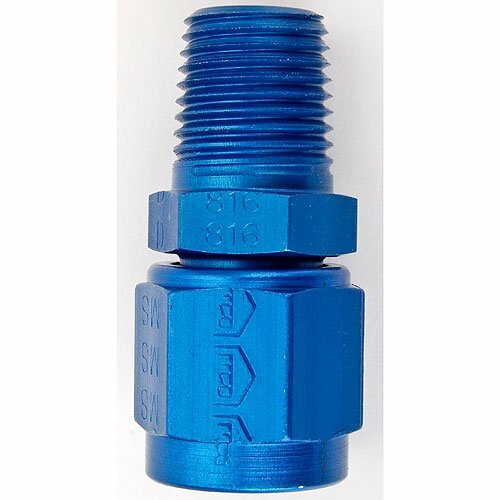 These hose fittings allow you to make professional 37° AN connections from NPT tapered pipe pipe threads. All aluminum construction featuring precise thread engagement and availble in straight and 90° configurations, great for customizing line routings. Features a high quality blue anodized finish.